In this week’s Torah portion, we run across one of the most confusing scriptures in the entire Bible. 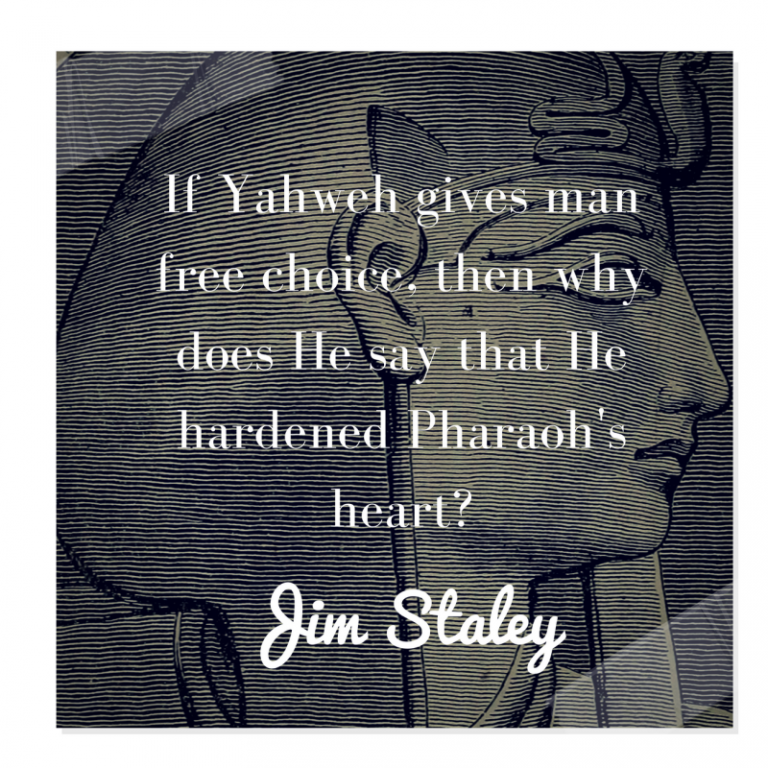 If Yahweh gives man free choice, then why does He say that He hardened Pharaoh’s heart? It’s a fair question, but one that’s easily answered when we take things back to the original language. Let’s take a look. Can Pharaoh really be blamed for resisting the Creator’s commands to let His people go if, in fact, the Creator is the One forcing him to resist in the first place? It certainly seems like a cruel trick.But is that really what’s happening? Is God, in fact, changing Pharaoh’s heart just so He can flex His muscles in Egypt? It certainly appears that way when you read it in our English bibles, but the truth behind the verse is far from what the English implies. When we go back to the original Hebrew, we see a much different picture. Before we dive into the context and linguistic background of the Hebrew word hardened, it’s important to know a little about how the ancient Egyptians viewed the heart. This understanding will help us better appreciate what’s actually happening here. Theologically speaking, the Egyptians believed that when a man died, his heart was placed on a cosmic scale to be weighed by the gods. In their mind, if they had a “light heart,” they had little sin going into the next world. If they had a heavy one, then they were going onto the balance scale with sins against the gods. Man obviously wanted a light heart as it pertained to his judgment. As a matter of fact, according to one commentary I read, a heart-shaped scarab made of precious stones was placed on the chest of the mummified body to ensure that a person’s heart declared innocence to the gods. The idiomatic Egyptian expression “hard of heart” was a good thing in their culture as it denoted strength, resolve, and self-restraint in leadership. For the Pharaoh to have a hard heart showed that he was not swayed by the words of mere mortals, even when they threatened his kingdom. In today’s language, we might say that that person has a strong heart and is not weak. In other words, someone with a hard heart is someone who doesn’t faint and isn’t easily swayed when a crisis hits. All good leaders have this trait. When the fire alarm goes off you don’t want your leader to be the one cowering in the corner crying. You want someone who doesn’t flinch, who’s able to assess the situation and lead others to safety. In Egyptian culture that resolve is a “hard heart.” To placate an enemy combatant is to show weakness and a lack of leadership. It is with this context that we grab our linguistic shovel to turn the top layer of English dirt over to expose the proper Hebrew root. In the Hebrew, the word behind hardened is kabed. This is a most fascinating word to be used in this context as it literally means “heavy.” Throughout the bible it has the connotation of something being difficult, burdensome, or heavy. It’s used for the first time in Genesis 12:10 when scripture says the “famine was kabed (heavy/severe) in the land.” The more interesting side of this word is that it’s the same three-letter word that’s used for the English word honor, as in the fifth commandment of “honor your father and your mother.” Kabed does not only mean heavy but also means “honor, glorify, glorious.” When the scriptures talk about the “weight of His glory,” they’re using the word kabed. When we say that “His presence was thick in this place tonight,” the Hebrew for “thick” would be kabed. His glory (kavod) is thick (kabed). Both words are spelled identically: kaf, beit, dalet. In Hebrew, to honor someone is to give weight to their words. If one is not honored, then his words are not given any weight. We see this concept come alive in the ancient pictograph Paleo Hebrew, where every letter was originally a picture. The letter kaf was originally a bent palm of the hand that anointed. The letter beit literally means “house.” And the letter dalet was a door. When you put all that together, kabed meant “to anoint the house is to create an open door.” In other words, when we bless others and their house, God creates an open door for our lives. This is the true definition of honoring one another, and honoring Yahweh Himself. But let’s get back to Pharaoh’s heart and see how all this applies. The key to understanding how God can kabed Pharaoh’s heart is actually found a few chapters earlier, in chapter 7. We can see from the above passage that once Pharaoh realized that his court magicians could replicate the plague, he became more resolved in his stance to not give in to Moses’ demands. Remember, this Moses was a former adopted member of Pharaoh’s household. He was challenging Pharaoh’s authority, which was rubbing against the centrifuge of his pride, something that no leader deals with well even today. So the truth is that Pharaoh’s “heart” becomes clear in this scripture long before Yahweh “hardens” it. He was not going to allow this rogue Egyptian Hebrew waltz in and make him look bad. When we finally come to the beginning of chapter 10 where Yahweh finally says he “hardened” Pharaoh’s heart, all Yahweh is doing is honoring what Pharaoh really wants: to be strong and not let Moses push him over. God simply allowed him to have what he already wanted. There wasn’t any point at which Pharaoh was remotely contemplating letting the Israelites go. To do so would be to completely humiliate himself in front of all Egypt. He had no intention of allowing such a circus in which he would be made the clown. Scripture says that each man’s heart is in Yahweh’s hand and He can move it wherever He wants. In other words, if Yahweh had wanted to, He could have moved upon Pharaoh and influenced him to have a change of heart, but instead, He chose to stand back and let Pharaoh have his way. He “honored” his true heart’s desire. 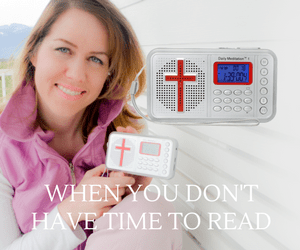 How often does God give us what we want because we’re “hell bent” on doing things our way? Yahweh is not a God that imposes His will on us or forces us to do what He wants us to do. He follows our lead in virtually all cases. He allows us to have free will, and that’s part of the deal. If we want to do it, He simply allows it and we have to deal with the consequences of our decisions. He will “honor” our hearts. The key is pride. Pride is what prevents the Creator from invading our space. He will not share an abode with someone filled with pride. It’s the very reason why Lucifer was thrown out of heaven. Yahweh could have easily destroyed this once glorious archangel, but He decided to kaved (honor) and make heavy his heart’s desire. Destroying the arrogant traitor, or Pharaoh for that matter, would have shown too much mercy for the level of their sins. Allowing them to get what they want, which ends with one being thrown into a sea of fire and the other being thrown into a sea of water, is a far greater punishment for such a sin than just destroying them. God is very patient. He sits back and allows us to choose our own paths, giving us ample time to repent and honoring our decisions, whether for good or for evil. Yahweh has the ability to change men’s hearts, right? So how does He do that if I just said He honors our heart’s decisions? Great question. Remember when I said that the key is pride? I meant it. When we do not have a spirit of humility and don’t give Yahweh any room to influence us, He is locked out of our hearts. But when we’re open to correction and give the Creator permission to move our hearts as He desires, He honors that, too. He honors and strengthens whatever our position is. It is for this reason that a man who claims to follow the God of the bible should always take the humble position that he might be wrong in a situation and be open to reversing his position, allowing the Creator to move upon his heart. Pharaoh had no plan to reverse his royal decree and let Yahweh’s people go. Unfortunately, he is much like us today. It takes a great calamity to finally open our eyes and hearts to the idea that we might be wrong in a given situation and to accept the idea that we need to give room for Yahweh to move in us. When Pharaoh’s first born son died in his arms, he was finally humbled and broken enough to let the Israelites go. Incredibly, shortly after they left, Pharaoh’s heart changed from broken humility to one filled with anger and seeking revenge. His pride became his death certificate. This story teaches us that we need to be willing to be wrong in order to be right. All too often, we take the rigid position of Pharaoh and leave no room for the Creator to move upon our hearts and change our positions. Then from our perspective, our hearts harden even more because we deduce that if we were, in fact, wrong, God would change us. The problem is that if we’ve never come to Him and humbled ourselves, taking the position that we might be wrong but desire to be right, He has no authority to invade our space. So what should we do when we run across someone who is acting as Pharaoh did? What do we do when people are holding something that belongs to you like Pharaoh did? What do we do when someone is against us, or has taken a Pharaoh position of “you’re wrong and I’m right”? The first thing we must do is to admit to the Creator that we are open to being wrong and give permission for the Spirit to invade our hearts and move us in any direction It desires. This is the point of Yeshua telling us in Matthew chapter 5:43-48 to pray for those that persecute us, hate us, and use us spitefully. Their hearts might very well be hardened and, like Pharaoh’s, have no room for the Creator to invade, but the prayer of a righteous man availeth much. When we stand in proxy for someone else, we’re taking their place and asking the Father to open their heart and eyes to the heart of God. We give the Spirit permission to invade them and change their heart. This is the true power of prayer. When we believe someone has been hardened in a situation and we walk away from them and curse their very existence, we nullify the power of Yahweh in the situation and are, in effect, condemning them in their sin. This, in turn, is laid upon us because He gave us the power to help them through prayer. He said that “he who knows to do good and does not do it, to him it is sin” (James 4:17). When we know we are to pray blessings over our enemies but don’t, we’re allowing Pharaohs to exist in the land when we have the power to intercede for them out of compassion for their eternal futures and can possibly wake them out of their prideful stupor. In the end, the Father desires for all to be saved and have pliable, humble hearts before Him. He desires to move us to our final destinations and our full potentials. Unfortunately, many times we take the position of Pharaoh but have no idea that we’re doing so. When all is said and done, we should always be willing to be wrong to be right (with God). Such are the actions of a wise man. Even a paratrooper carries a back-up parachute in his pack just in case the first one fails. Give the Father room to invade your heart and soften your hardliner positions. A humble man who is found to be wrong in his position retains his dignity, but a prideful man who is found to be wrong on his hard position becomes a fool.